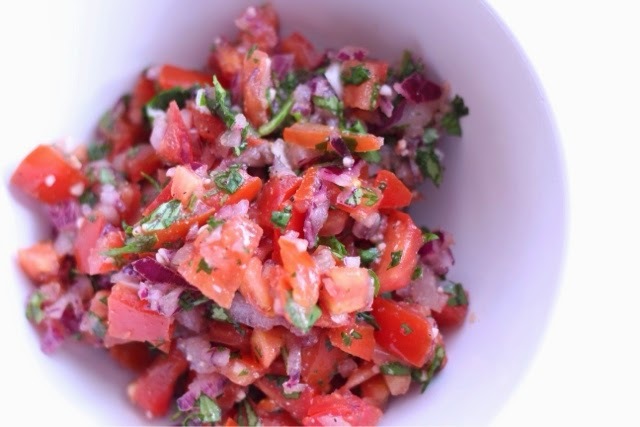 There is something so simple and perfect about pico de gallo. 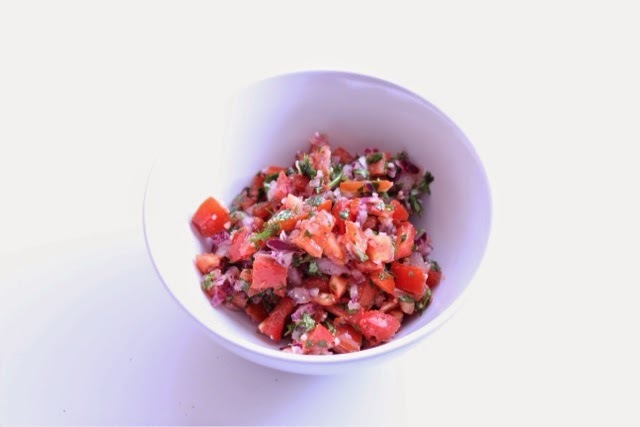 It's essentially three fresh, healthy ingredients blended together with additional spices to create a powerful, flavorful garnish. As a California native, I practically consider Mexican food a food group and find myself eating some form of it almost everyday. 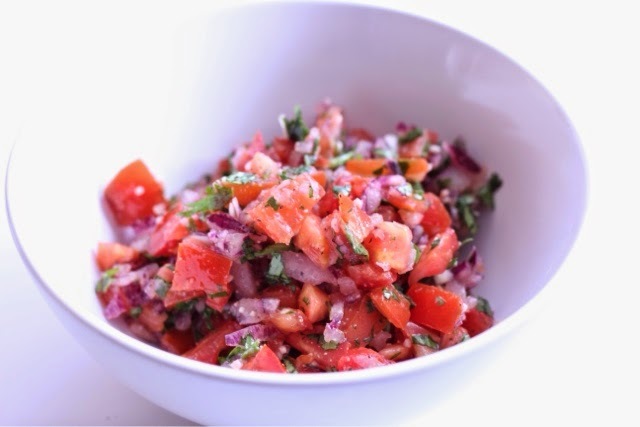 This pico de gallo is the perfect dish to add some freshness to those meals. Stir all ingredients together in a bowl. For best taste, let sit in the refrigerator (covered) for at least 3 hours before serving. Enjoy!